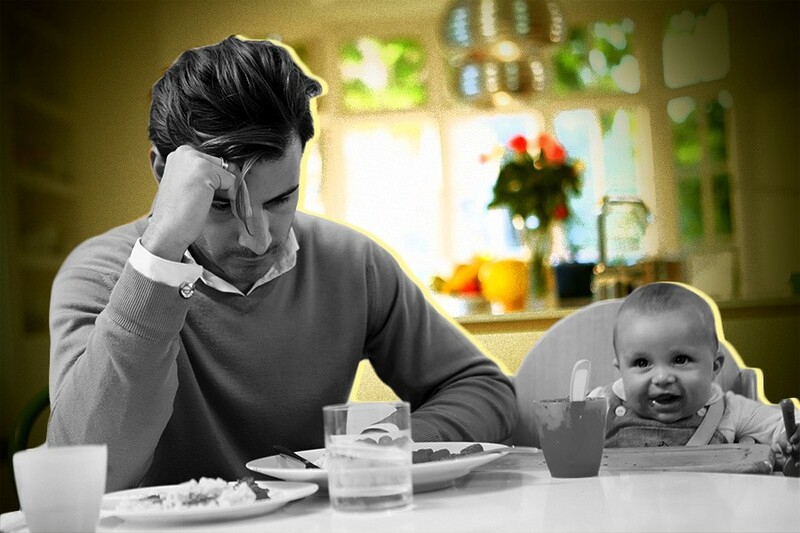 There is a perception that men and women who suffer from postpartum depression are often reluctant parents, but the truth is it can happen to women and men who are delighted by parenthood and have even wanted kids their whole life, making it all the more perplexing. Such is the case with the host of ESPN’s “Around the Horn,” Tony Reali, who talked with Deadspin about being blindsided by postpartum depression because he’d known he wanted a family since he was 5 years old. He tells Deadspin that when his daughter was 1 year old, he was hit with heart palpitations and invasive thoughts while caring for her at home alone. As we’ve written before, though postpartum depression is said to occur in as many as a quarter of new mothers, around 5 to 10 percent of new fathers experience the baby blues, too. The reasons are similar — a strange brew of hormones, sleeplessness and stress — and the results are troubling, like fathers who are less engaged in care and even reading, and more prone to turn to spanking for discipline because they’re maxed out. TV HOST STRUGGLED W/ POSTPARTUM ANXIETY not a headline you expect from your sportscaster. Maybe not one you expect from a man. Can be. Is. I understand people don’t want to have this conversation, they don’t want to even hear the words, which is a tough thing to consider when you have gone through it or you know other people who are going through it. I’ve come to a place where I’m pretty sure talking about it is the best way to diffuse it and the best way to have other people recognize what it is. There’s such a stigma attached to anxiety disorders — generalized or specialized — that manifests itself in new parents and people don’t even know it applies to men. For me, there’s no shame here, it was stunned disbelief. I’ve wanted to be a dad since I was five years old. Everyone who knows me, before they know anything about me, knows this. To not have control over something in your life — and this is two instances of that — I lost control in a mental space for a short period of time, for some people it’s much longer so I was fortunate for that, but we wanted have a baby and we couldn’t, and then we did, and then she was 47 hours of labor, two weeks late, so I was going through life with my hands up in the sky, like, “how great is this.” It was bliss, but it was mind-numbing. And my recognition later was that you don’t want to be blissfully mind numbed to anything. None of that can possibly can be all good. And all of the sudden, it was the most frightening thoughts you can have. They’re called invasive thoughts. I started having heart palpitations that went on — I only had one moment where I felt like I had a panic attack and that went on for 10 or 15 minutes — this was going on for an hour, two hours, three hours. Eventually Reali was able to speak with someone on a hotline for postpartum depression (here are some resources), which he says helped him make the distinction between his fears of accidents happening and the baby being hurt, and reality. And now he talks to someone once a week still to work through issues as they arise, and has found some success in managing his own expectations. For me, it’s a chance to not let anything sit unexplored for too long, to ask and answer. And not will myself into aiming for the greatest day ever, everyday. Do other people do that? I don’t know. But I was putting pressure on myself to not allow anything be less than great. The “how can I feel bad?” or “how can I complain?” or “others are worse off!” threat we can hold over our head is weighty and insidious, the guilt of it all. I think giving voice to it allows me to process it and not be guillotined by it. My realization that “best day ever” wasn’t necessary took work.